SERVPRO® of Hampton North is accessible for you 24 hours every day, 365 days a year to help bolster families and organizations influenced by catastrophes and unanticipated harm from water, fire, storms, or from biohazard occurrences. Our administration reaches out to help bolster business properties in keeping their working environment looking its absolute best with our business cleaning administrations. Where timing is everything, we help support your existing business contingency plan with a no-cost business appraisal, part of our SERVPRO® Emergency Ready Plan that is accessible from your mobile devices. Significant home protection suppliers depend on us to react immediately to give quality support to our Chesapeake clients. Our office staff speaks with your insurance agency through the whole procedure to help settle your claim. Insurance agencies are certain about our capacity and our accreditations offer affirmation. We believe that it really takes a town when giving back to our locale. 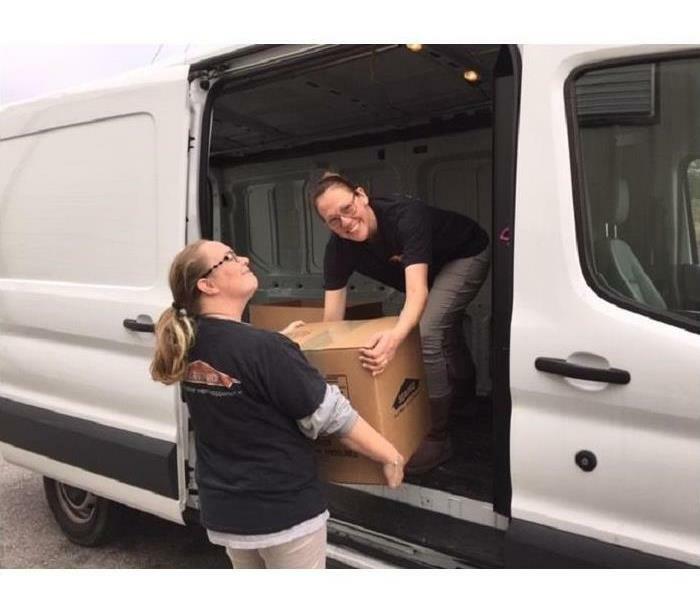 Our owner and co-workers help by supporting the Foodbank of Southeastern Virginia, Blankets for the Homeless, the Chesapeake Humane Society, the Children's Crisis Center of Hampton Roads and to neighborhood women’s shelters. We take interest in numerous associations that hold us to elevated expectations, the Better Business Bureau and the Institute of Inspection, Cleaning and Restoration Certification (IICRC). Our responsibility to our clients and to the insurance agencies has earned us Chairman Silver and Gold Awards displayed to us by our corporate leaders in Tennessee.